Jungle Boot with ripple sole is available in regular sizes ranging between 4 and 13. One of the salient features of this pair of boot is the extremely comfortable ripple sole. Desert Tan Jungle Boot with ripple sole comes with a removable cushion insole, midsole heat barrier, common midsole and padded collar. 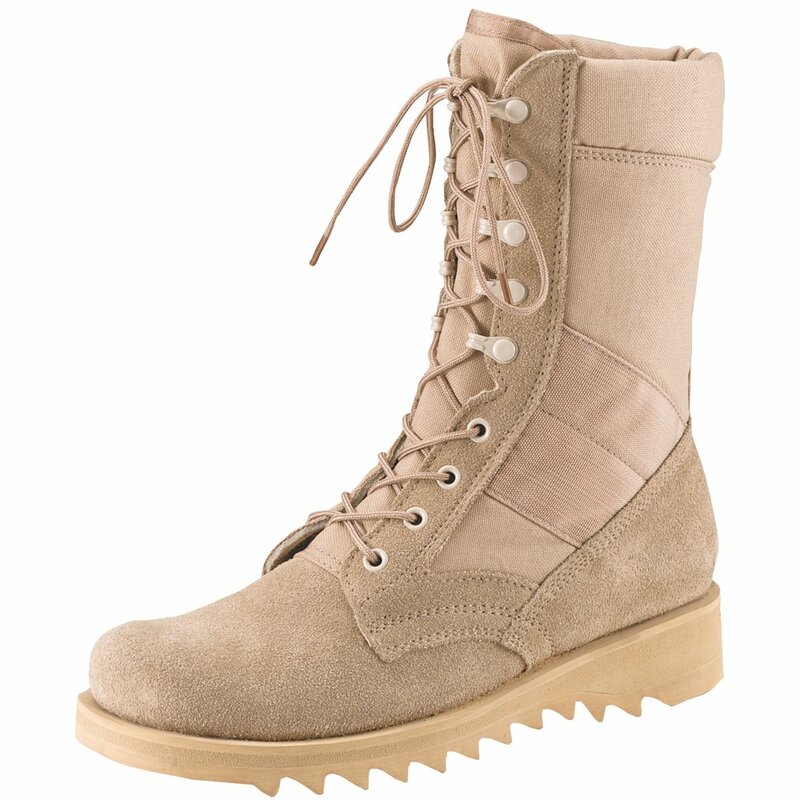 This boot also features an eyelet lacing system and brass, nylon coated speedhook. The midsole heat barrier and tan suede and heavyweight nylon upper make this shoe one of the best models. It is perfect for people who work as security guards, are in the army or police and need to be on their feet for most part of the day.